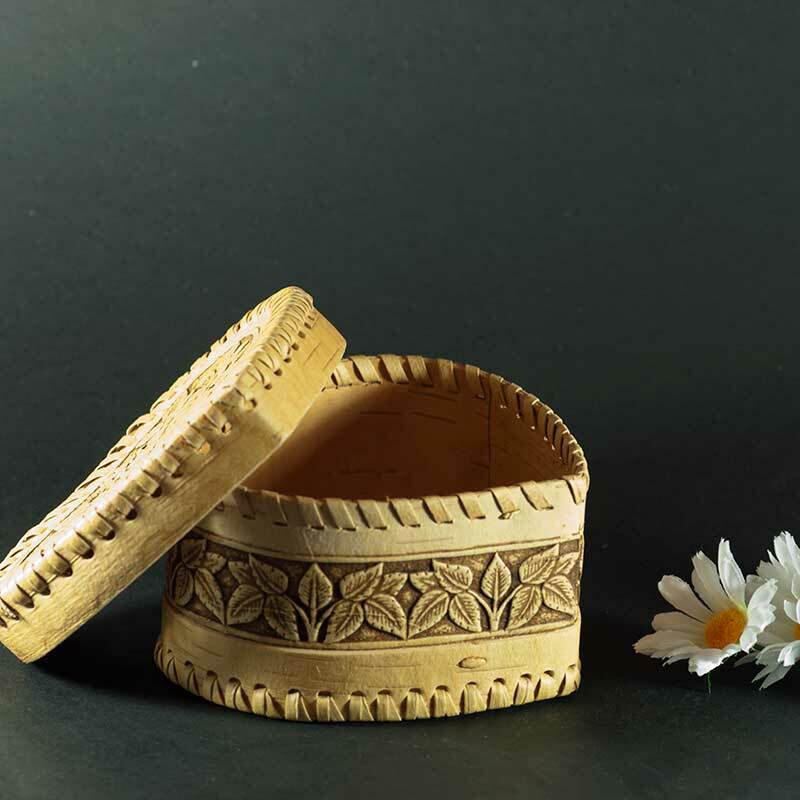 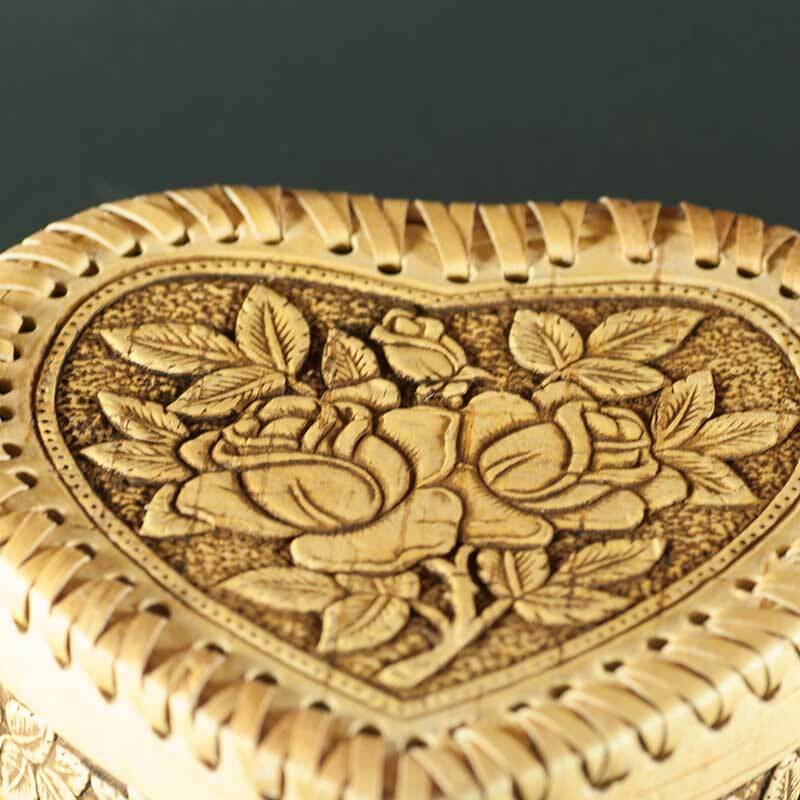 Box Heart Shape Two Roses is made of birch bark, environmentally friendly material, so it can be used for keeping food like dried fruits, nuts, sweets. 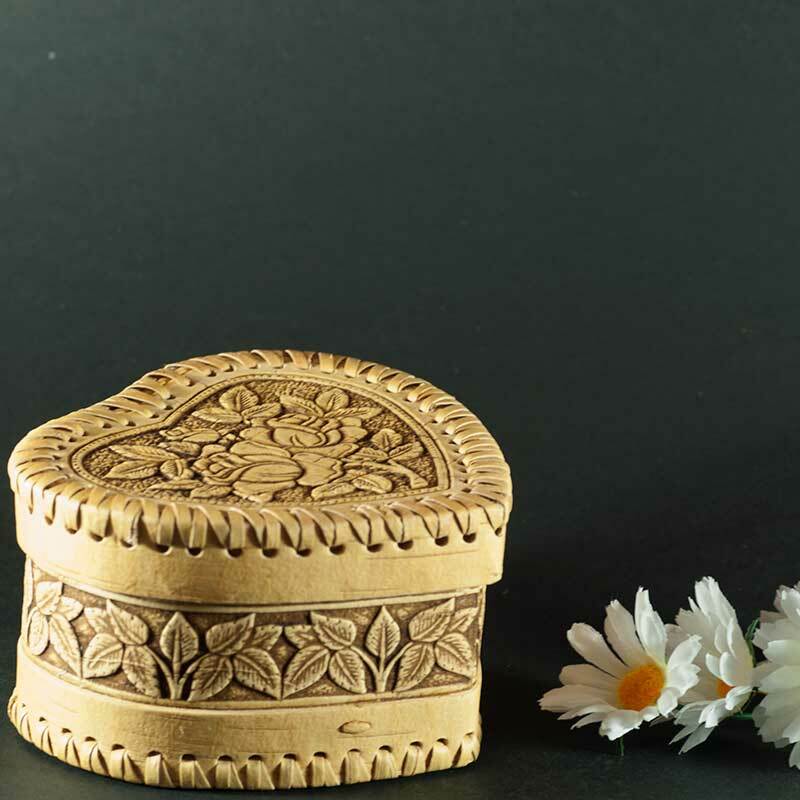 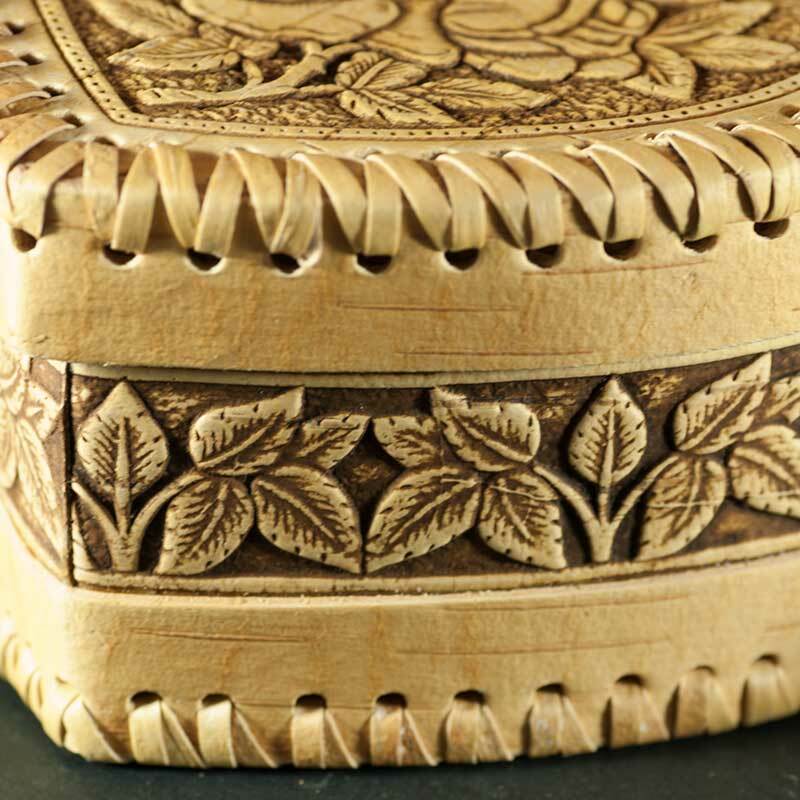 It is decorated with embossing of ornament on floral theme. 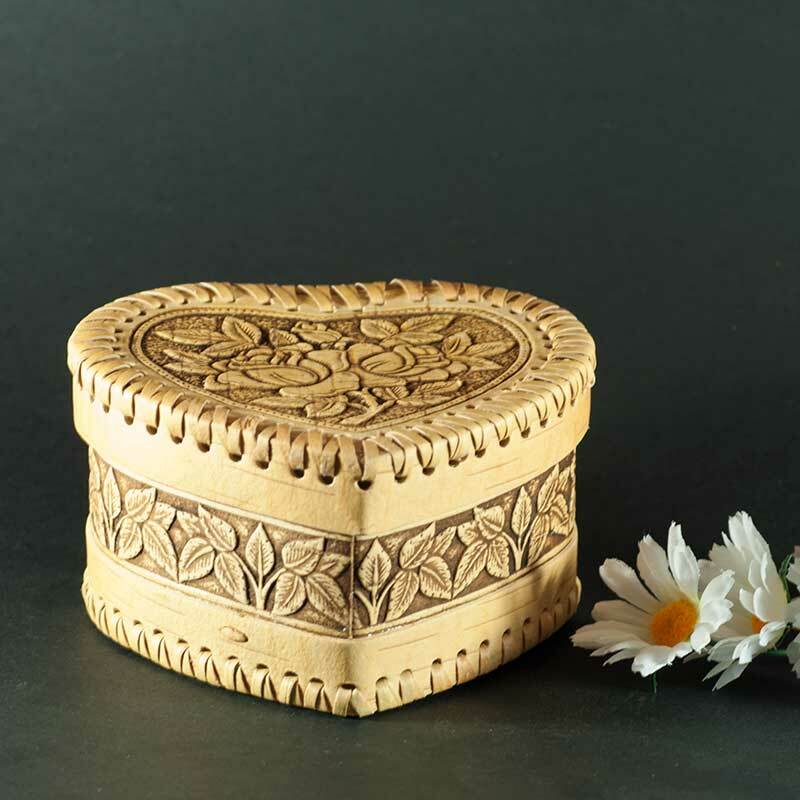 Birch tree bark is an ecologically clean material which has antibacterial properties.